TREASURE ISLAND VACATION RENTAL Come make memories of a lifetime !! This penthouse unit offers luxury for up to 8 guests. 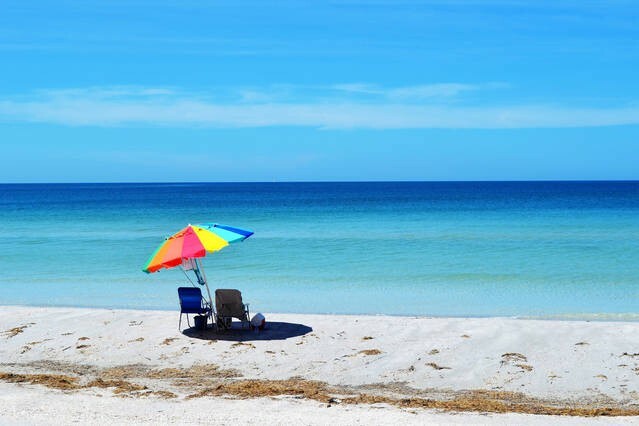 Come experience gulf sounds,tropical warm blue/green waters and sugary white sandy beaches. When you enter into this spacious 3 bedroom,/2 bath- 1400 sq ft unit an expansive view of the gulf welcomes you. The travertine tile/open floor plan of dining, kitchen and living area brings plenty of space for everyone. A large fully equipped kitchen and breakfast bar area of granite countertops, stainless steel appliances give you that updated, luxury feel for those meals at home. The master bedroom has a KING size bed, a well-appointed furnishings, tv and ceiling fan plus private ensuite full bathroom. The second guest bedroom offers a queen bed, tv and ceiling fan with a guest hall bath across the way. And, the third bedroom provides two full beds. The top floor private balcony will give you breathtaking sunsets for those quiet evenings in. 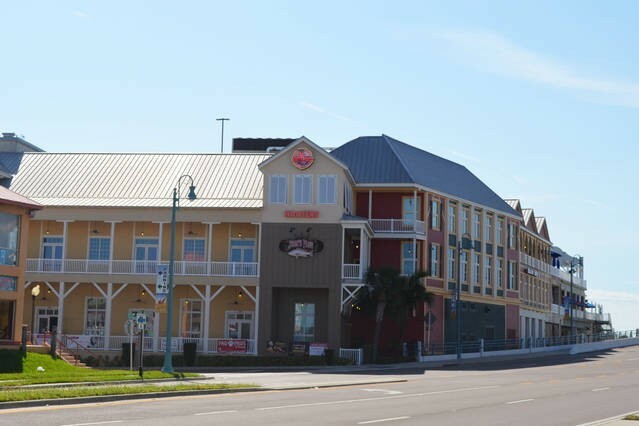 Enjoy a meal or a cool drink while enjoying the cool evening gulf breeze. Laundry inside unit. we highly recommend visiting downtown St. Petersburg/Beach Drive. 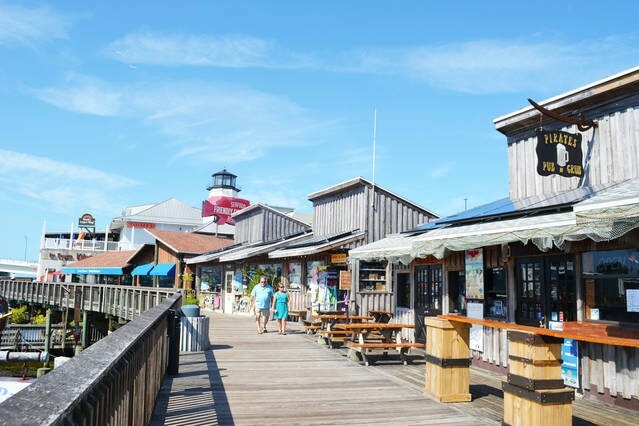 It has that french riviera feel of shopping, fine and sidewalk dining, entertainment, museums and more, all just 10 minutes away East. Fun for the whole family... the children will marvel over the HUGE banyan trees and the horse carriage rides. Please contact me with information regarding Palms of Treas Isl PENTHOUSE. We stayed in Unit 404 at the Palms for 3 weeks and absolutely loved it! There was enough room for our adult children and grandchildren to visit comfortably. We loved this spacious, tastefully decorated unit. It's called the "penthouse" and lives up to its name. It has really nice furnishings and lots of room so you never feel crowded. The view of the ocean from the lanai is amazing! You can watch the sunset or just soak in the beauty of the sand and the water throughout the day. The washer and dryer are wonderful, we love that they have 4 beds here to fit up to 8 people and the closet is nicely stocked with beach toys, chairs, a cooler and an umbrella. Everything you need for a day at the beach. We enjoyed using both the pool and the hot tub and having that beautiful beach just a few steps away. The hardest decisions of each day were whether to spend the day on the beach or by the pool and where to go for dinner. There are so many dining options within walking distance, we didn't even rent a car for our 3 weeks and we never missed having one. 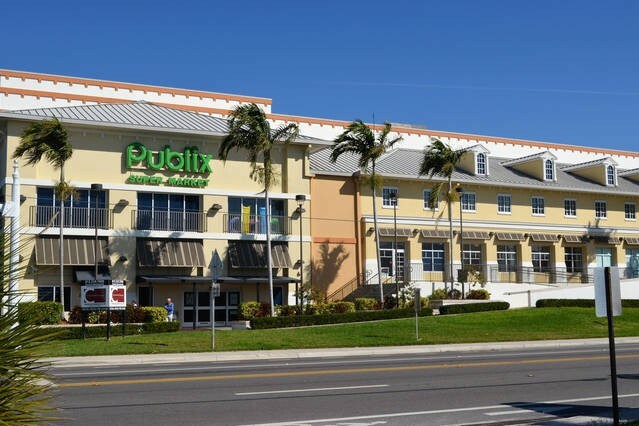 We love having Publix right next to the condo. It really couldn't get more convenient or more comfortable in this unit! We loved it so much, we rented it again for the entire month of February next year! Working with Cheryl at Sandcastle Realty was amazing! Everyone with Sandcastle made sure our needs were met and Cheryl specifically was so responsive. We've rented through Sandcastle for the past 2 years and next year will be year 3 for us. I would highly recommend them and highly recommend Unit 404 at the Palms (with the exception of when we're in it, of course)!! "From start to finish dealing with Elizabeth at Sandcastle was a breeze. She was incredibly responsive and answered every question I had. The unit was exactly as described and depicted. Walking distance to restaurants and bars, great sunset views, directly next door to the Publix and right across from the beach." "The rental was handled through Sandcastle Realty and they were very easy to work with. The online description and photos were very accurate and the unit more than met our needs. A great place to stay!" Very well decorated and very clean. Beautiful view and close to everything. Very large condo, we had 6 adults and still plenty of room. Huge kitchen and well stocked. We normally stay at another condo complex right on the beach, but we wanted a 3 bedroom this time, and the view from the balcony and living room made you feel like you were right on the sand. The pool area was nice especially with the water way right next to it. Enjoyed watching all the pelicans diving for their food. Would definitely recommend this place and will definitely stay there again.